Living in a park like setting.This centrally located 4 bedroom brick home is situated on a beautiful 1.3 acre lot. Loaded with mature landscaping with plenty of room to spread out. Walk to the new elementary school, city to beach bike trail and university. Minutes from the oceanfront. Traditional floorplan. Huge formal living room has many potential uses. Formal dining. Cozy family room with brick hearth fireplace and surround built in shelving. Open and functional tile floor kitchen has ample cabinet storage space and bar top dining along with cabinet nook work station. All bedrooms with classic wood floors. Up or downstairs master suite. Great closet storage in all rooms. Adjoining office or nursery. Listing courtesy of Coldwell Banker Sea Coast Advantage. 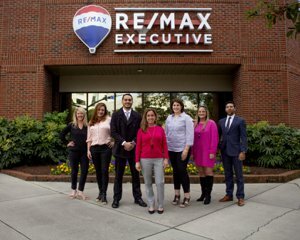 Selling Office: Re/Max Essential.